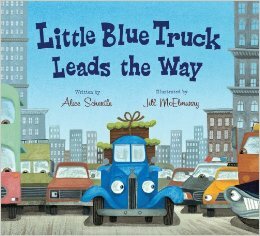 This is the second “Little Blue Truck” book by the same two author and illustrator. My 18 month old grandson absolutely loves the first “The Little Blue Truck” though he seems to like the pushy dump truck best of all. This is another good book in the series. It is a little over long for him to sit through – he usually gives up at about the time the mayor starts his speech. Can’t say I blame him – politicians can put me to sleep, too. I think when he is a bit older he will want to hear the whole story but in the meantime, when he arrives at my house in the morning, these are the two books he grabs first to have me read to him. The story is very cute (and Little Blue saves the day “Beep, beep, beep”) and the illustrations are so much fun – especially the mean looking eyes on all of the other vehicles. I never realized how much expression could be given to the front grill of a vehicle. 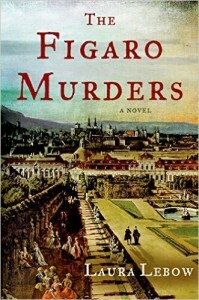 “The Figaro Murders” is the debut murder mystery by Laura Lebow. It is set in the late 1700’s in Vienna. Many of the characters are actual historical figures who made up the opera music scene of the day. The sleuth is Lorenzo De Ponte, the theater poet of Emperor Joseph II. He is in the midst of writing the libretto with Mozart to their opera “The Marriage of Figaro” when he is suddenly pulled into solving a mystery of birth, a murder mystery, finding a spy, and other assorted unknowns that crop up throughout the book. I became interested in this book because it involves more work than throwing four ingredients into a mug and heating it up. While there are a few simpler items included, this is not a book of simple flavor recipes – it is a book of interesting and somewhat complex ingredient meals/desserts that are simple to make. 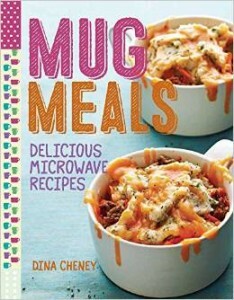 You will need a decently stocked pantry to make all of the recipes. Good news for beginners is that you can buy the items as you go along and you will end up with a well-stocked pantry by the time you have worked your way through the book. 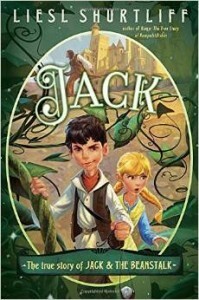 This is a fresh new take on the classic stories of “Jack and the Beanstalk” as well as “Jack, the Giant Killer”. 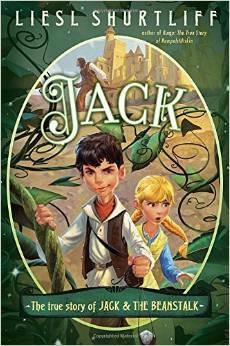 In this story, Jack still has both mother and father, as well as a pesky, younger sister. When all sorts of devastation abounds, Jack suspects giants and gets laughed at. I guess he gets the last laugh when he has to go to the land of giants to save the town. He also finds out his sister is not so pesky after all. “The Lady from Zagreb” is the first book I have read by Philip Kerr. I was hoping for a fast-paced whodunnit with lots of twists – which is my favorite type of mystery. Instead, the book has a lot of information about the atrocities and the lack of morals which abounded in Germany and surrounding countries during both World War II and the time leading up to it. The characters were both fictional and real (though used in a fictional manner to progress the story.) As I am not a student of WWII, I wasn’t able to easily determine which was which. 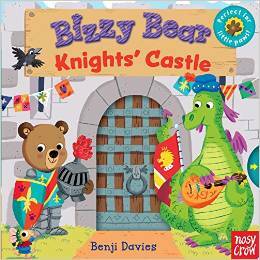 I have purchased a number of the Bizzy Bear board books and was happy to find this new one. As with the others, this one has a number of fun activities for my grandson to play with. The book is filled with knights and dragons – even jousting. At 18 months old, he is easily able to move the levers to make the fun activities happen. He especially likes the one that moves the sword up and down. The story is very simple and easy to read. When kids are interested in doing the activities, they really aren’t listening all that hard. I read this one to him several times a day and neither he nor I have gotten tired of it. A little one can be a bit tough on these books – my grandson tries to “open” the pages where the movement actually is house. He has only destroyed one as I figured out how to reinforce the books so he can’t pull them apart. I use a big of clear packing tape on the corners and edges of each page. Just enough to reinforce without hampering the flow of the activity. He hasn’t damaged another since I starting using this method. I have been making jewelry for a number of years but one technique that I have always been unsure of is working with wire. I have looked for a book that can provide me with a good foundation for learning the skills involved but, until now, I have not found one that works well for me. 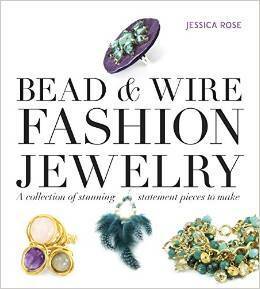 “Bead & Wire Fashion Jewelry: A Collection of Stunning Statement Pieces to Make” is a fairly comprehensive guide to beginning to intermediate wire work. It lists the tools needed, shows them visually, and then tells how to use the tools, again showing visually how each step is taken. I learn both by reading and by seeing, so the way this book is set up is perfect for me. I can read each step, see how it is done, confirm that what I am seeing is what I am reading and then proceed to doing each step on my own jewelery. 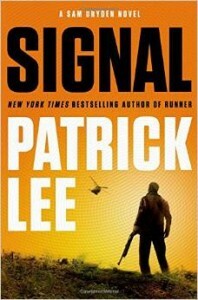 “Signal” is the first book I have read by Patrick Lee. I will shortly rectify that by purchasing at least four of his prior books, including “Runner” which is the first in the Sam Dryden series. I had no problems whatsoever picking up the action in this second book in the series. I had no idea there was a prior book and nothing in this book appears to have relied too heavily on “Runner.” I often read books in the middle of a series and most of the time, it takes a considerable part of the book to catch up. I was extremely pleased that that was not the case here. 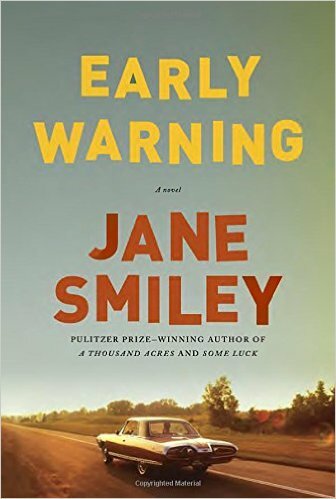 I read this book in a single afternoon/evening – not because it was short – but because I simply could not put it down. The main character, Sam Dryden is ex-military and ex-special ops. He has left that world behind and is trying to pick up the pieces of his life after personal events that almost crushed him. 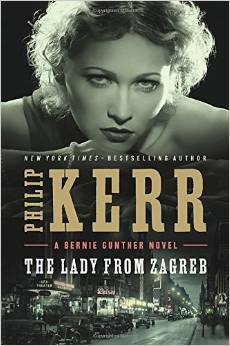 He gets a call from an ex-comrade, Claire Dunham, and is asked to drop everything and meet her at a certain place. As he trusts her implicitly, he does has asked. At that point, everything starts to go haywire. I don’t want to provide any spoilers to the plot as I feel it is so unusual and compelling. While there are elements of almost science fiction thrown in, they are written into the plot in a way that makes you feel that the unbelievable can actually be true. 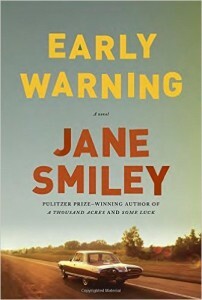 “Early Warning” is the second book of a trilogy. I high recommend that you read “Some Luck”, the first in the trilogy before reading this book. The set of books is about a family that start out as farmers and how and where they end up. The end of the first book is 1953 – which is also where the second book picks up. Where the first book focused on a little more than a handful of characters – telling the story via each of their standpoints (from third person narrative), the second book covers many more people from the same sort of point of view. I found myself constantly referring to the genealogy listed at the beginning of the book to try to keep track of how each of them were related. Without having read the first book, I really would have felt lost. 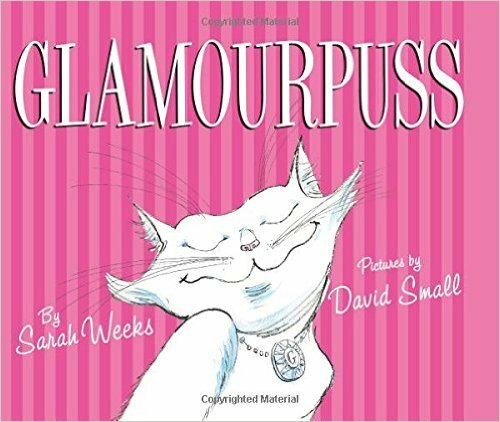 This is an adorable children’s book about a kitty who lives the life of leisure. Her owners don’t have children and lavish their love and attention on her. Before you know it, there is a little dog who is suddenly vying for attention – and she does tricks and can wear cute clothes instead of striking glamour poses all day. The story is cute and the illustrations even cuter. They remind me of a kitty I once had who was also a bit of a glamourpuss. 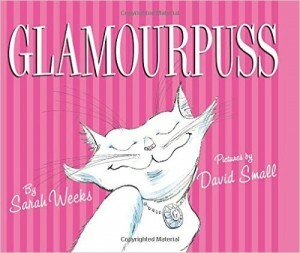 My grandson loves when I pull this book out as he has a kitty at his house, too. I received a complimentary copy of this book via the publisher.